be quiet! 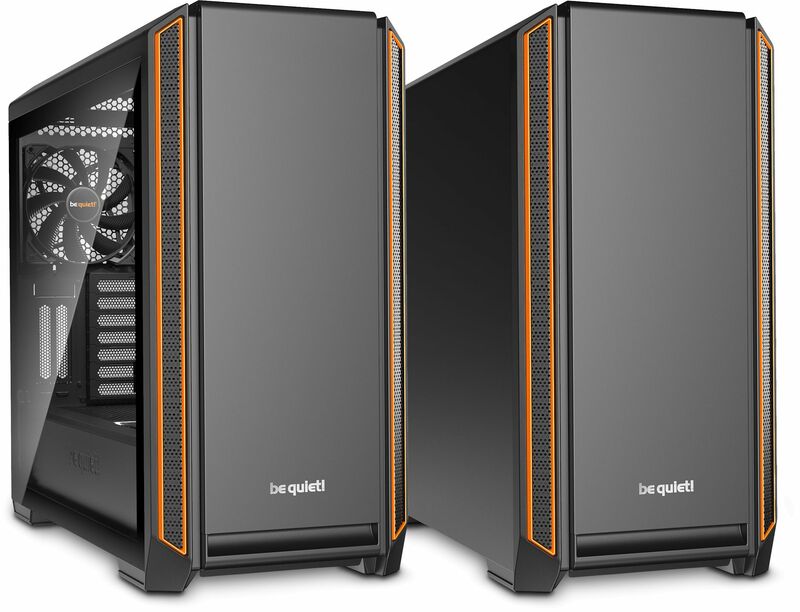 Silent Base 601 Orange delivers the perfect combination of maximum noise reduction and excellent usability for remarkably quiet configurations. The air inlets on the front cater for quiet operation with a constant amount of air permeability. The specially designed vents reroute the inflowing air twice to reduce airborne noise. The front, top and sides are equipped with extra thick dampening mats of 10mm, resulting in maximum stability and superb noise dampening capabilities. 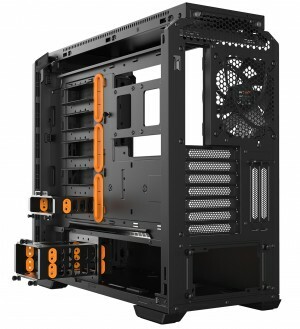 The decoupled PSU bracket and HDD cages also minimise vibrations. The full metal body provides stability for the case and improves its haptic. Two pre-installed Pure Wings 2 140mm fans with airflow optimised fan blades ensure perfect airflow and solid cooling. The integrated 3-step fan controller caters for up to three 3-pin fans. The high-end side panels provide a mounting system with push-pins for secure and user-friendly detachment. By depressing the push-pins the locking mechanism releases the upper part of the side panel and this hovers safely until removed manually. Excellent usability, for fast and easy access to the interior of the case. Despite its compact design the Silent Base 601 provides generous dimensions and cutouts even for installing an E-ATX motherboard. The smart arrangement of components also allows multiple graphics cards and large coolers to be installed. 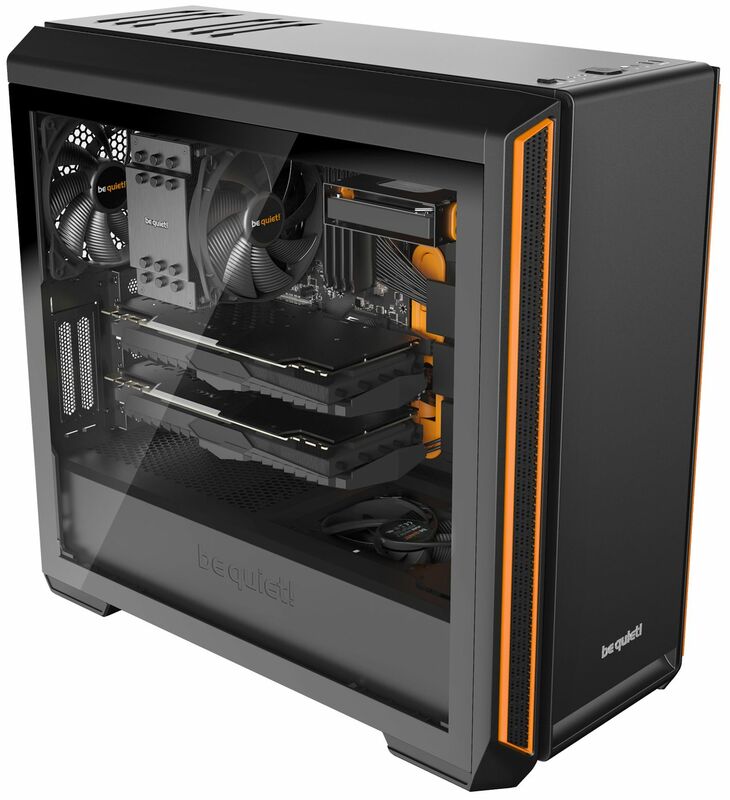 With its optimised design, the Silent Base 601 is the perfect case for water cooling. Radiators of up to 360mm can be installed at the front, top and rear. Using the detachable bracket radiators can be installed very quickly and easily at the top.